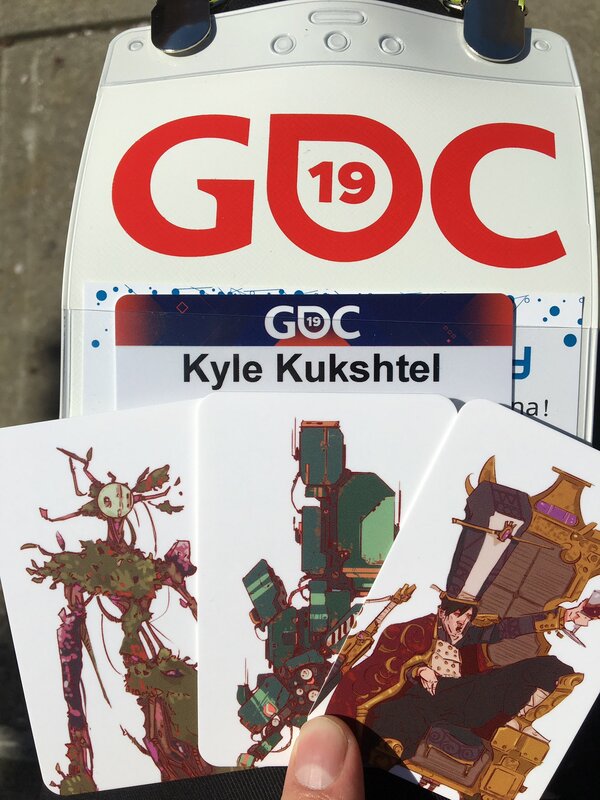 In case you missed it, I (Kyle) was at GDC (the Game Developers Conference) this past week with Cantata! Each year, GDC attracts a lot of people for a lot of different reasons: some people are there to showcase new tech (like Google’s new platform Stadia), some people are there to showcase their games, some are their because they were nominated for award, some are just getting a peek at new games... and the list goes on. The reason I was there was to leverage the fact that, for one week each year, a lot of the game development community is in a single location. It’s surreal to walk through the conference halls and see names and companies so ready at hand that usually seem so far away. If you’re a developer and have the means to go, I highly recommend it. I was there mainly to talk to potential publishers about Cantata, but when I wasn’t taking meetings it was great to just wander around the conference and talk to developers of games I’ve enjoyed in the past or are looking forward to. So with that in mind I wanted to talk about some of the fun stuff I got up to other than meetings and highlight some games I got excited about! 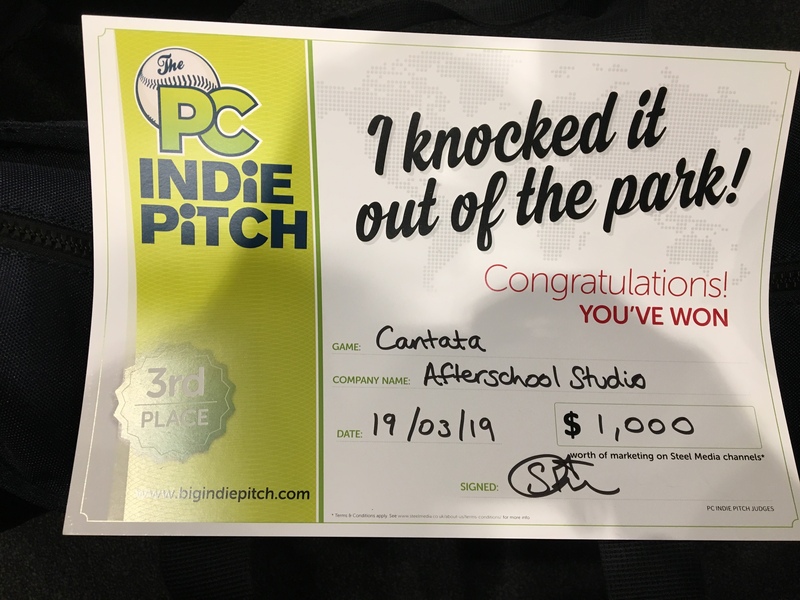 First, I’m happy to say I won third place at the Big Indie Pitch! The Big Indie Pitch is an event where you give a 5 minute pitch of your game to a table of 1-2 publishers or journalists, then move to the next table, speed-dating style, and do it again. You end up pitching your game five times in twenty-five minutes to a group of about 10 people. I think in total there were about 30 teams, so being as selected as one of the top three feels great! As part of doing this, one of the main things I learned was how to effectively pitch Cantata in a super short amount of time. Before the Big Indie Pitch, I felt like I had to be able to talk about Cantata for at least 10-20 minutes for someone to get it. I had the excuse in my mind that “It’s a big strategy game! You couldn’t pitch Civilization in five minutes, someone just has to play it. How is someone going to understand Cantata in five minutes? ?” Regardless of my own doubts, I had a signed up to pitch, so I had to try and do it anyway. I still had to pitch the game in five minutes, so I was forced to seek out what made Cantata unique enough that showing it for such a brief time would be compelling. What I landed on, and some of what I’ve been showing on the Cantata Forums, is the scenario editor. 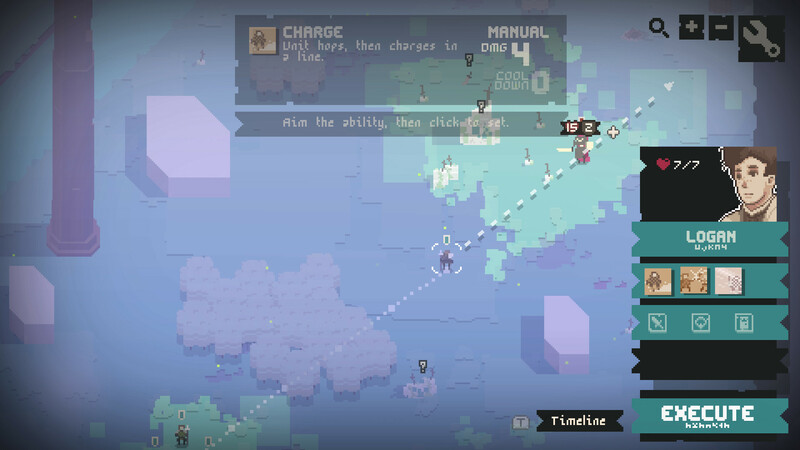 The scenario editor really elevates Cantata above just a unique single player strategy game and pushes it into more “creative” territory. Showing people how quickly you can author a map, setup triggers and add units, really resonated with the people I was pitching too. 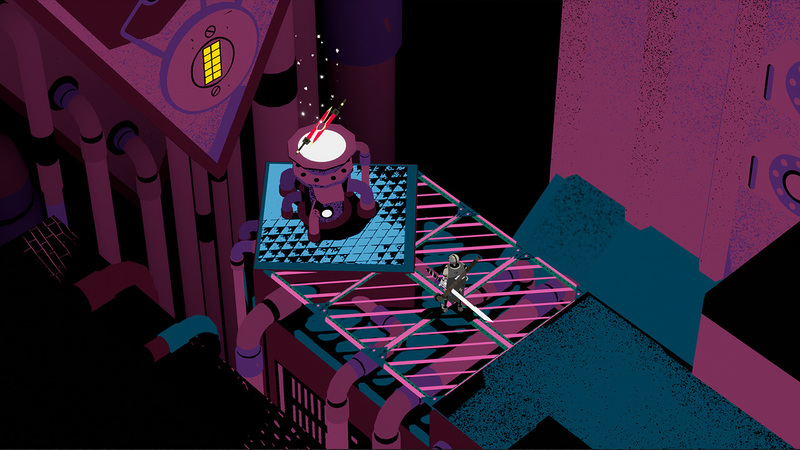 In an age where single player indie games are struggling more and more to find success, showing a robust creation tool built into the game helped make Cantata seem like a compelling offering. One really interesting thing he brought up was the idea of exploration in Cantata and how it relates to victory conditions. Because Cantata has a lot of exploration elements in the game, he really focused on how to make that not just be dressing but provided oblique-strategy type interpretations of that mechanic to try and find other ways to make it be compelling. He mentioned that he is starting to think less and less that “victory conditions” in a game are important, and that maybe I could look at other ways playing a map could be satisfying without just assigning a victory based on arbitrary, static conditions. Maybe you “win” if you explore the map first? Maybe you just have some set of objectives that aren’t tied to a set condition? Talking with him definitely provided some great food for thought, and am also excited to see what the community says when I get people the alpha build soon. In addition to talking to developers, I also spent a fair amount of time just seeing what was being shown. Outside of obvious cool things that were being showcased as part of bigger booths (Spelunky 2, Samurai Gunn 2, Dreams, etc. ), GDC is also a great place to see games that are otherwise not yet available. This is especially the case with the IGF (Independent Games Festival) pavilion, which showcases student games, art games, experimental games, etc. 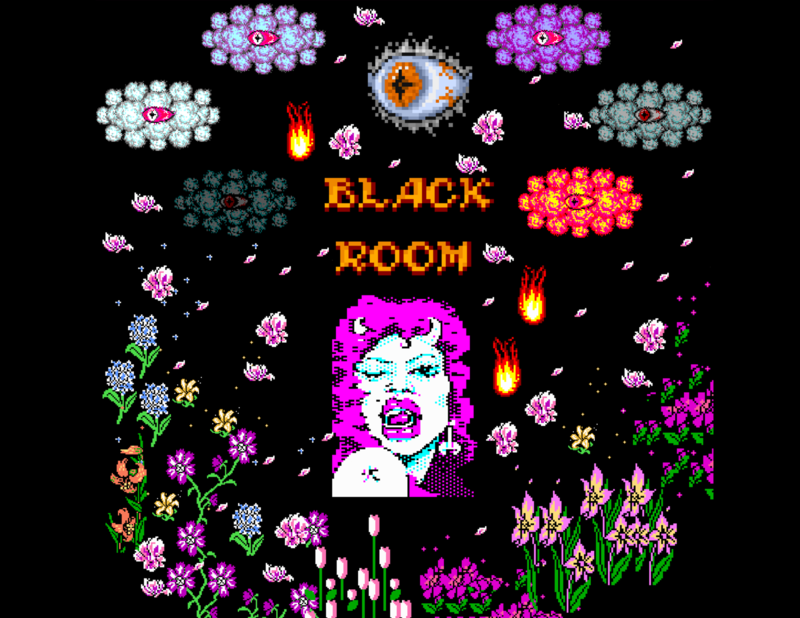 that, outside of their mention on the IGF nominations page, are often not available or even known anywhere else. Keeping that in mind, here’s a selection of cool stuff from the festival that isn’t out yet that I thought looked interesting. Part of the Indie Megabooth section of GDC, I was really struck by this games graphical style. Inkle’s latest game is looking good. 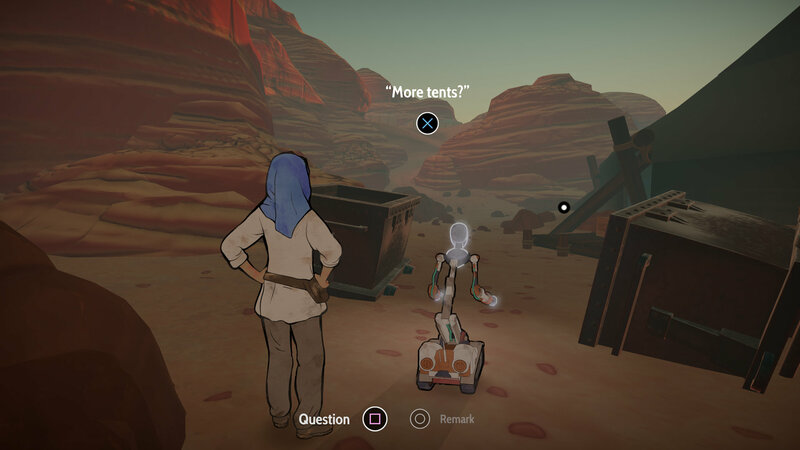 Moving beyond their text-based roots, Heaven’s Vault is a third person exploration game about language and discovery. The game’s emphasis on understanding as part of exploration through it’s language mechanics seems like it could have a lot of depth, and I honestly think we may start seeing more games like it in the future. The circumstances around how I got to see Marchers is the sort of reason you go to GDC. I was talking to a developer and it turned out he was working on a game so we did a little demo swap where I showed him Cantata and he showed me Marchers. I wish I could properly deliver his pitch for the game, but basically imagine Cogmind crossed with The Curious Expedition crossed with Death Trash. I don’t want to say more about it for fear of spoiling it, but it looks super interesting and I’m excited to see more of it as the year goes on. 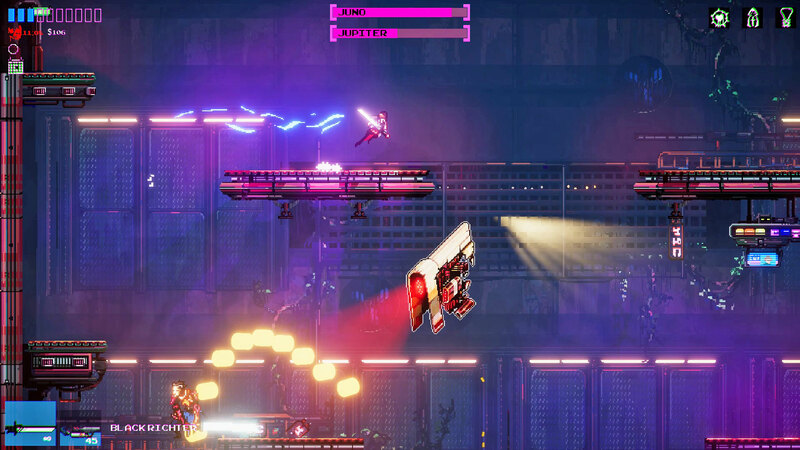 It’s basically Cyberpunk Dead Cells. If that isn’t appealing I don’t know what is. 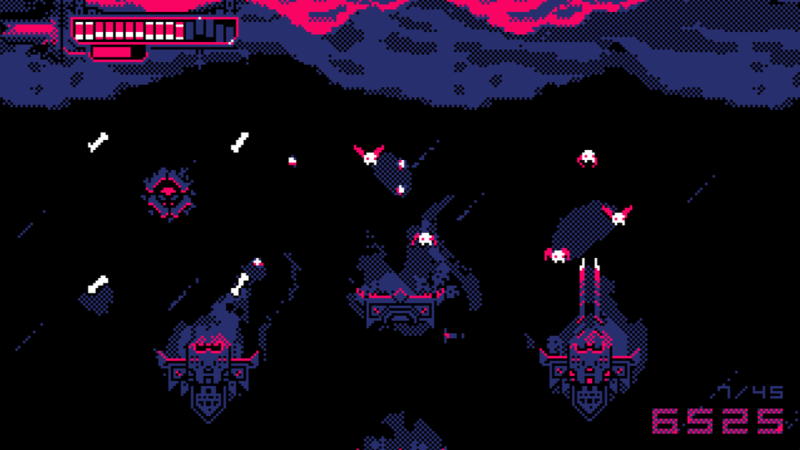 The game is beautiful, the itemization seems smart and varied, and enemy types and approaches all look super different. Just loving everything about this. I’m a sucker for feel and Hell is Other Demons feels really good. I got to talk to the developer for a while, which was especially nice because I had been following his development stream for a while and am happy to report he’s just a super nice dude that is excited about his game. 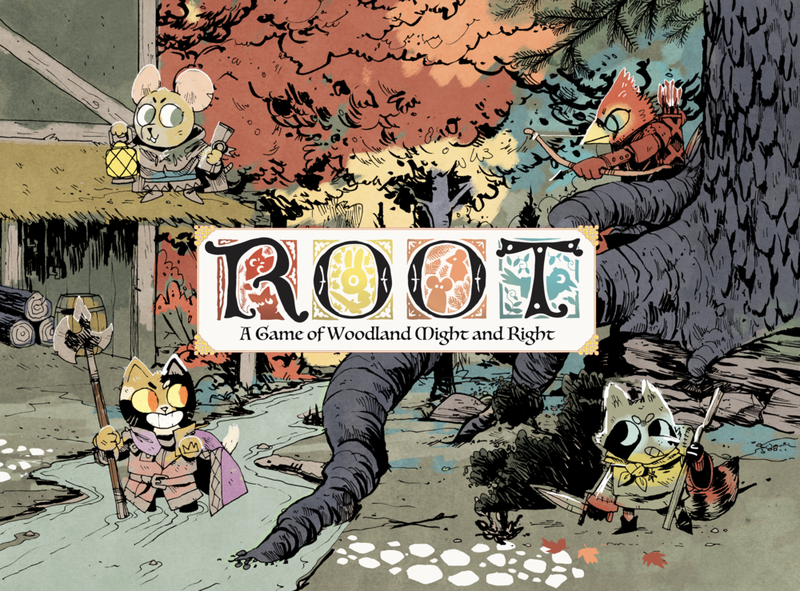 The four-color art palette makes the game immediately stand out, and paired with tight mechanics it seems like a shoe-in for the “Just One More Round” game of 2019. This is probably the “biggest” game on the list. After seeing the announcement for this game a few weeks back, I was surprised and excited to see it on the show floor in the Unreal booth. And DAMN did it look good. It’s basically a Battle Royale game where you play as a wizard, and you unlock abilities and spells based on what items you pick up from around the map. 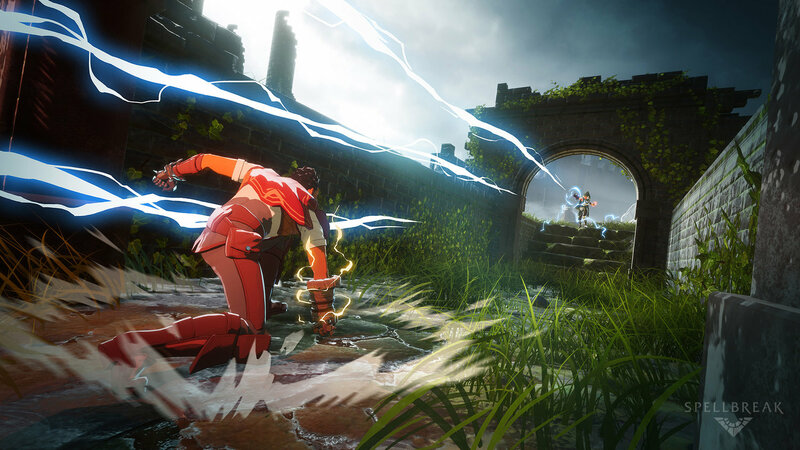 Not only that, but the combat is very action/twitch heavy, which makes this game in reality look like Pixar made an Incredibles ARPG with Ninja Theory. I’ve been following Flamberge on Twitter for a while because us indie strategy people need to stick together. I was happy to have gotten to run into the lead developer on the show floor and just enjoyed talking to him about Flamberge and indie strategy stuff in general. He was also the only person I talked to who already knew what Cantata was, so obvious bonus points here. Flamberge continues to look and play wonderfully, and I can’t wait for it to come out. This was my second GDC, and it’s nice to find myself being more comfortable there the second go around. Everything is no longer new, I now get disoriented 50% less, and I just know more people in the community that makes it feel like a less isolating experience. I look forward to going each year now not because I necessarily have a specific goal in mind, but to get to spend time with the wider community of game developers that, for only a brief amount of time, are all gathered together over a few blocks of San Francisco. I’ll wrap up this post for now though — I’ve come down with that GDC sickness so need to take a bit of rest, so here’s me saying goodbye to this year’s GDC and looking forward to what the next year brings!